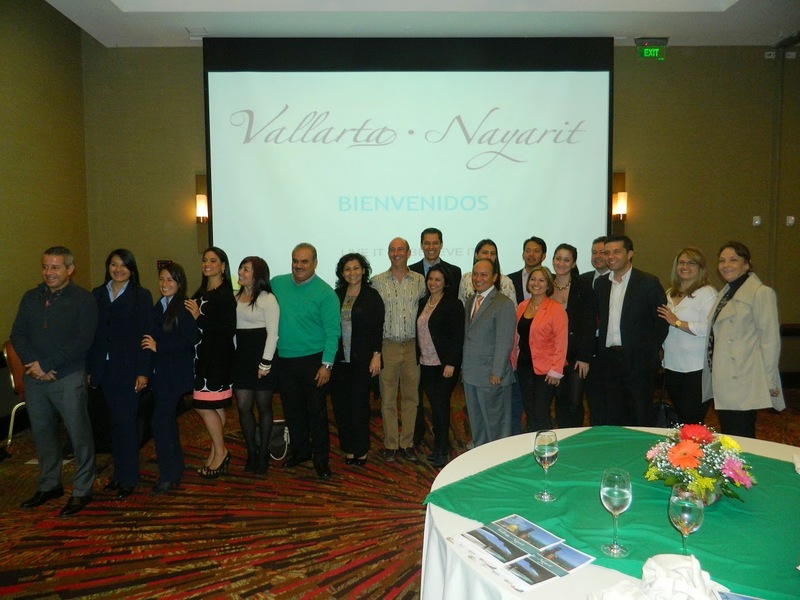 Over 300 Colombian travel agents attended workshops for the Vallarta-Nayarit brand held in Cali, Medellin, Bucaramanga and Bogota; Colombian tourists to the destination have increased 83% from January-May 2014 over the same period last year. From July 29 through August 1, 2014, the Riviera Nayarit and Puerto Vallarta’s convention and visitors’ bureaus held workshops in Colombia together with the Mexico Tourism Board (MTB) to promote the Vallarta-Nayarit brand. Over 300 agents attended seminars held in Cali, Medellin, Bucaramanga and Bogota in order to get the training needed to better sell the destination within their country. Marc Murphy and Rolando Miravete, directors of the Riviera Nayarit and Puerto Vallarta CVBs, respectively, led the trip. The MTB made the most of the meetings by offering important information about tourism in Mexico. There were also several hotels from both destinations at the workshops; they held their own presentations in all four cities, showcasing the region’s attractive hotel infrastructure. Representatives from Aeromexico were on hand to share news about their flights to the Vallarta-Nayarit International Airport. Colombian tour operators Cielos Abiertos, Los Nómadas, Pelicanos, UGA and Turivel were also present, offering special packages to the destinations for the travel agents attending the workshops. By way of thanks, the participating hotels raffled off complimentary stays among the attending agents at each event; Aeromexico also gave away tickets to the destinations.